The Lighthouse has such a great floor plan that can comfortably accommodate any group. On the main level, you have all your living areas…living room, kitchen, dining room and two spacious decks (front deck and back deck) with covered sitting and both Bay Views and Gulf Water Views. Upstairs is all three bedrooms and two additional decks that are private to two of the bedrooms. The same great water views can be enjoyed from both bedrooms. Under the house is completely covered and offers additional outdoor living space for BBQing and enjoying the refreshing Gulf breeze. 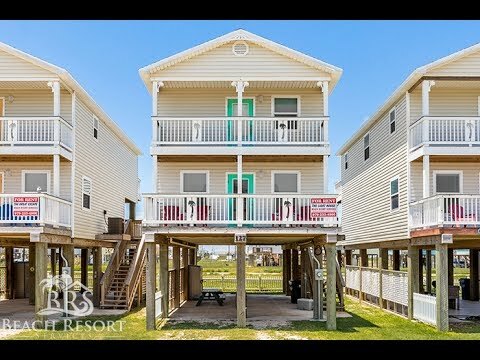 Beach access is easy and located within walking distance.